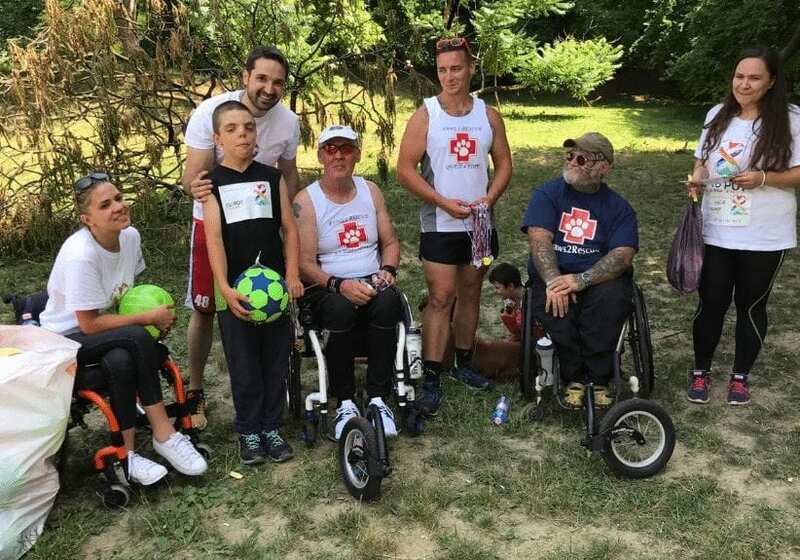 We set off from the UK with other supporters including Paul Guest, also paralysed after being hit during a bomb blast in Afghanistan. 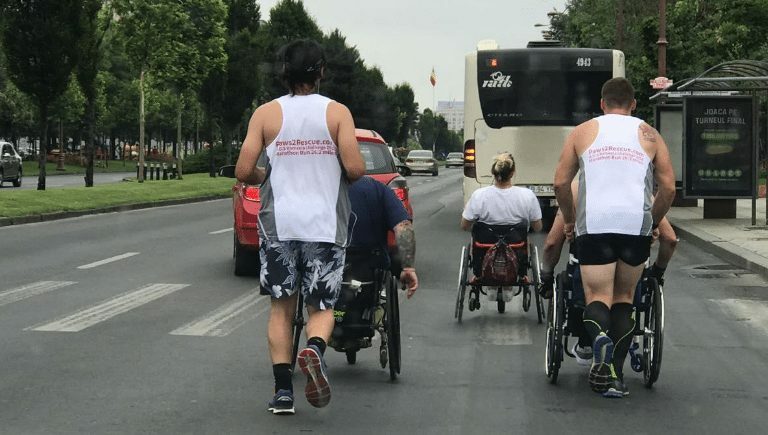 It was to be a life changing adventured in Romania. 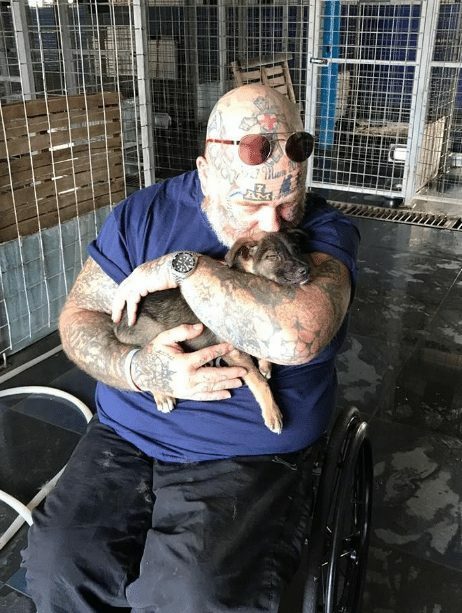 Our trip continued and we went to spend time with 20 paralysed dogs. 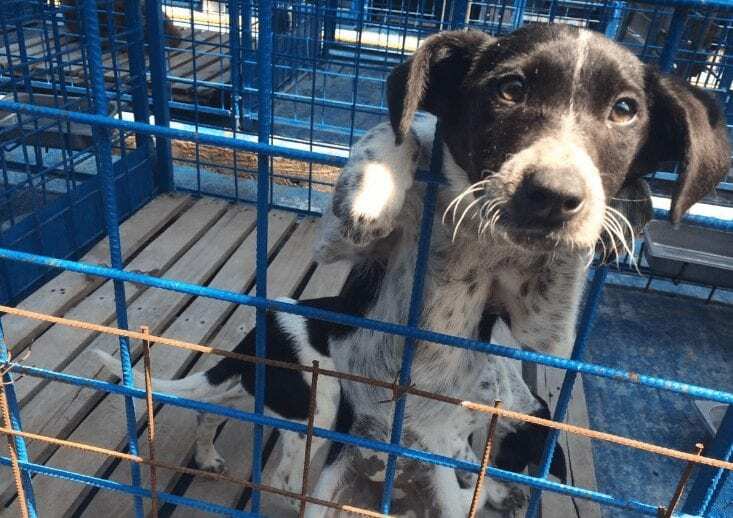 Most of these had been deliberately run over by cars, and most would never be adopted. 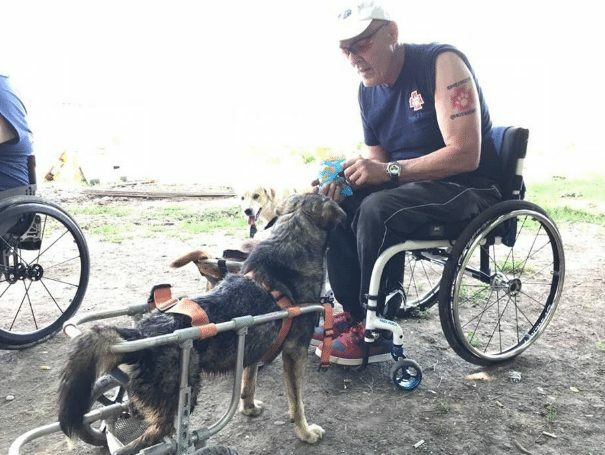 It has been Rob’s dream to spend time with them, and his marathon donations raised the money to buy 4 new wheelcarts for these dogs – such a huge achievement! 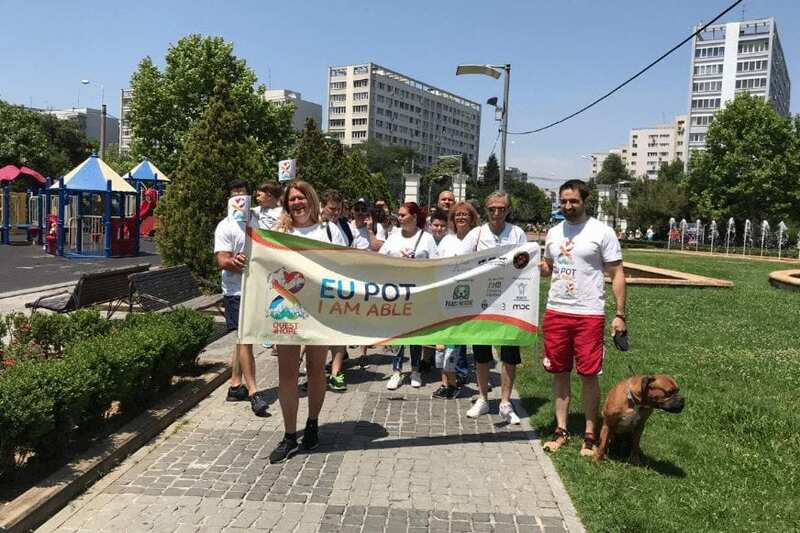 At the end of an astounding marathon, Paws2Rescue had organised a huge community event called Eu Pot, or, I Am Able. 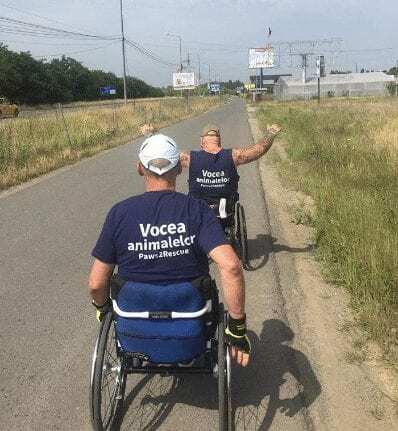 We were joined by children from schools in Bucharest and Jilava counties, disadvantaged children, blind children, we were joined by the paralysed dogs from Kola Kariola charity, by Save the Horses Romania and the Wildlife Rehabilitation Centre that we support. 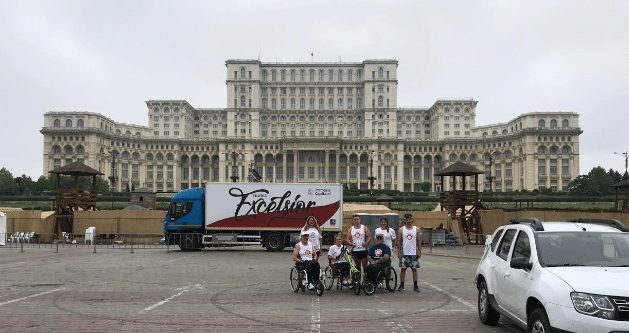 The leader and friends of the ALDE political party joined us, as did Romanian national TV too. 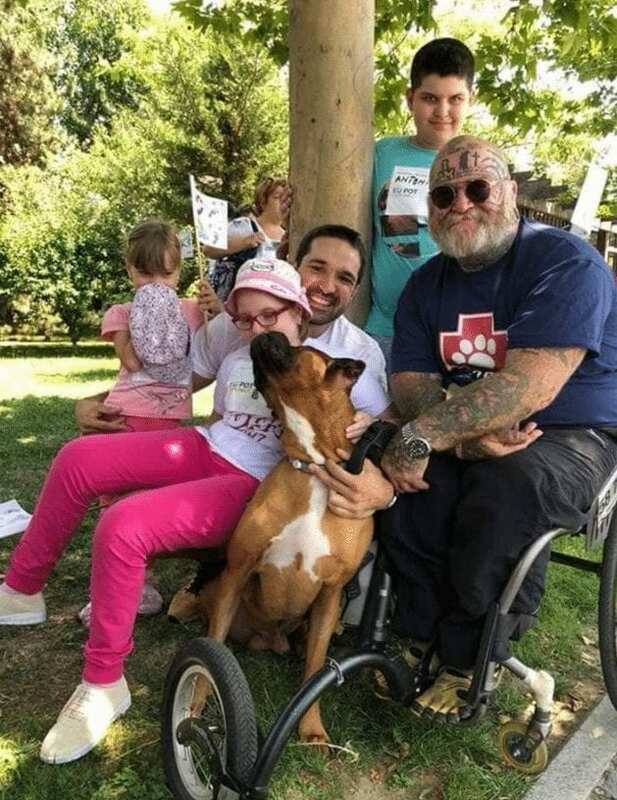 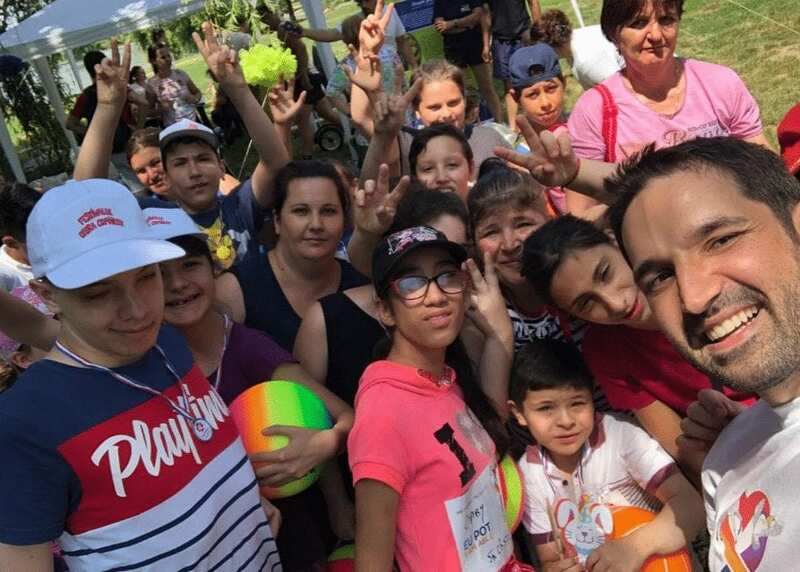 It was a huge community event to promote the rehabilitation of animals, animal care and for the children to prove how awesome they were during the 5km fun run.